A 10-year-old black labrador named Cena was given a hero’s farewell before he was put to sleep after being diagnosed with bone cancer. 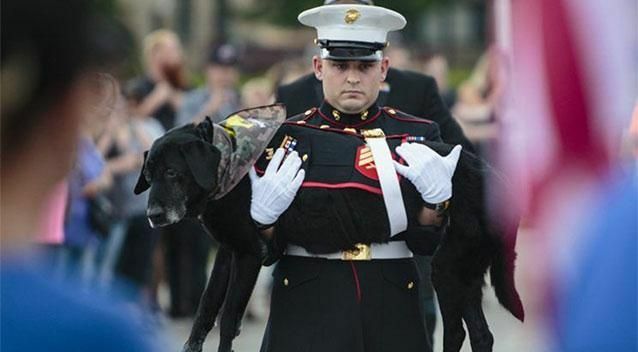 Cena, who worked as a bomb sniffer for the Marines, was given a military funeral in Michigan just days after his owner Lance Corporal Jeff DeYoung completed a bucket list for his beloved pet. DeYoung said he had carried Cena across rivers and threw his body over him while under heavy fire from the Taliban. After their retirement, DeYoung adopted Cena who helped him deal with his post-traumatic stress disorder.